A real adventure trail, the Vertical World is designed around a unique range of climbing structures. A real adventure trail, the Vertical World is designed around a unique range of climbing structures. 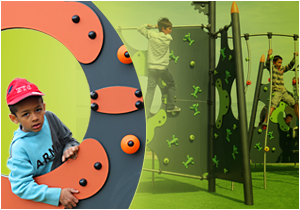 It allows children from 6 to 12 years old, to challenge their physical capabilities, improve their balance and further develop their personality and self-confidence within a playground environment.